Continual refinement, improvement and expansion of your enterprise social efforts will lead to increased results for years to come. 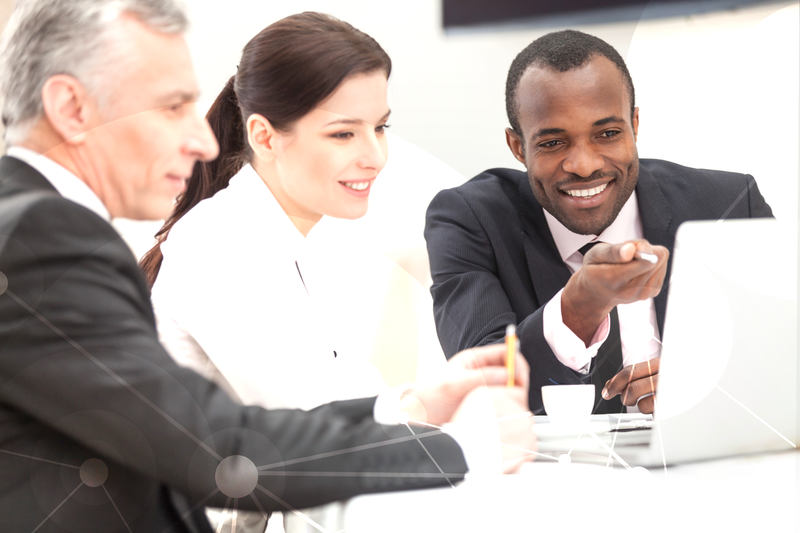 Our Advisory services allow you to proceed on this journey confidently with a team of dedicated experts who can advise you on best practices, potential pitfalls and how other companies have handled similar situations. Executive usage is essential to the long-term success of your social intranet or enterprise social network. To fully understand and embrace enterprise social, your executives need hear what other companies are doing and have the benefits, best practices and potential pitfalls explained to them by a trusted advisor in context of their own business. 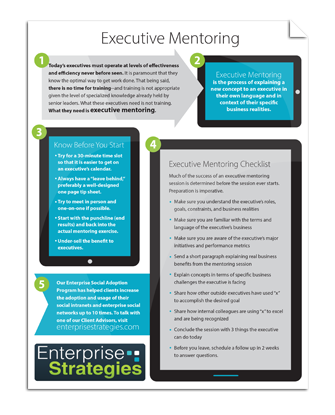 Executive mentoring is our most popular advisory service. Bring us in to talk to one of your executives — it won’t take long to see why.